Baby girl Asiya was the first baby born at Emory University Hospital Midtown on Jan. 1, 2019, arriving at 12:01 a.m.
Parents Fatema and Afsar were very surprised Asiya arrived at 12:01 a.m. on the first day of the New Year. Baby boy Josiah was born at 1:39 a.m. at Emory Johns Creek Hospital. Parents Denae and Gary and big sister Leilah are so excited about his arrival. 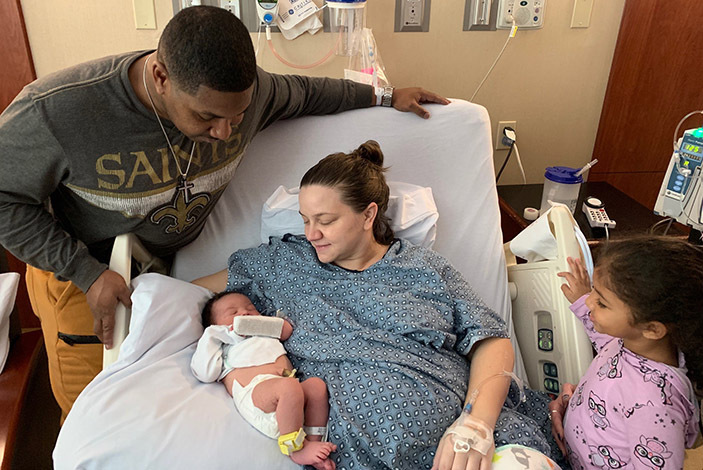 As 2019 arrived, two Emory hospitals rang in the New Year with the arrival of their first babies of the year. At Emory University Hospital Midtown, the first baby born on Jan. 1, 2019, arrived at 12:01 a.m. Dad Afsar and Mom Fatema welcomed baby girl Asiya a few weeks early. She weighed 4 pounds, 5 ounces and is doing well. 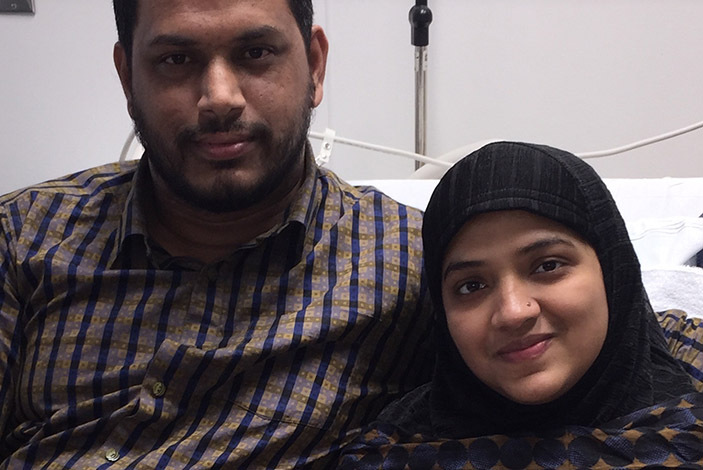 When the baby was born one minute after midnight, Fatema says she could not believe it. The parents are thrilled to have a baby girl born on Jan. 1, since every year her birthday will be celebrated with fireworks. 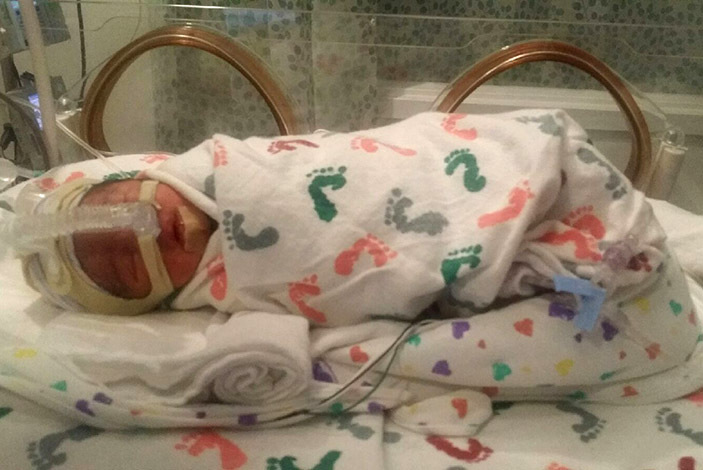 At Emory Johns Creek Hospital, baby boy Josiah was born at 1:39 a.m. on Jan. 1. He weighed 9 pounds, 2 ounces and arrived four days past his due date. Parents Denae and Gary say they are so excited to have him here, as is big sister Leilah. They say it was an amazing surprise to have him ring in the New Year. Happy birthday to Asiya and Josiah, and all of the babies born on Jan. 1, 2019.